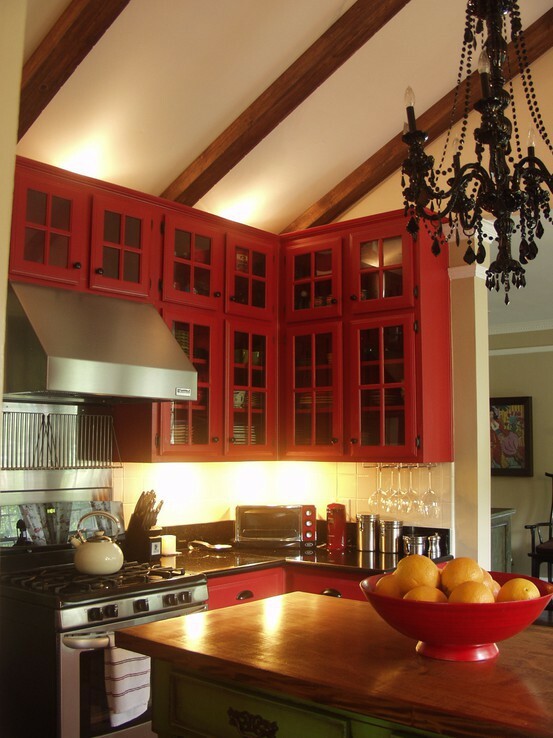 Red is a beautiful color to use in the kitchen. Yes, it's bold. 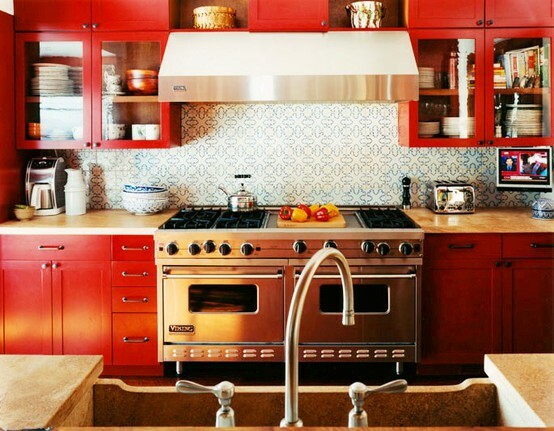 If you love red though you'll love having this warm color in your kitchen. This first picture is from our portfolio. The granite is called Molokai. 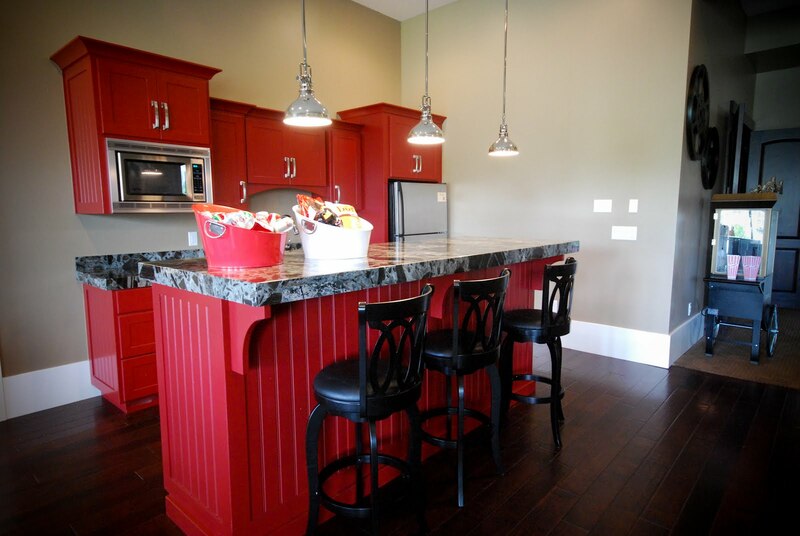 To see more pictures of this kitchen go here. I love the blue and white backsplash in this next kitchen. 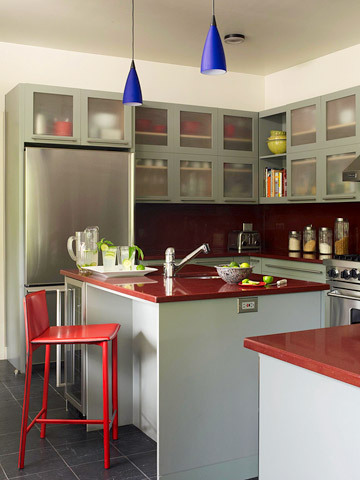 It's a nice contrast to the red cabinets. 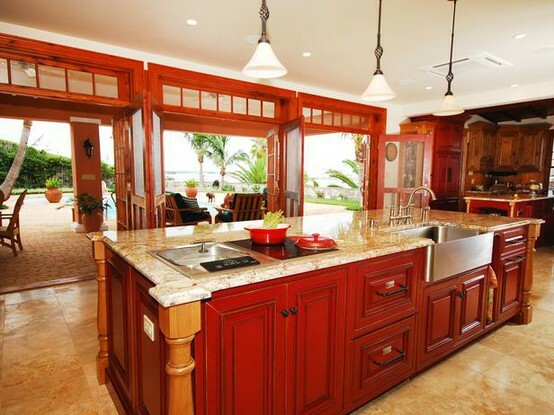 Oh, and check out that granite sink! Black countertops are always a good choice with red cabinets. 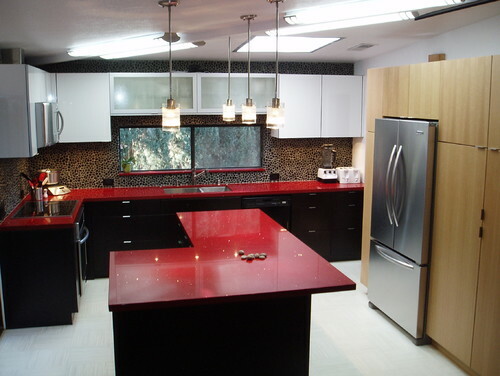 The granite in the photo below is Galaxy Black. 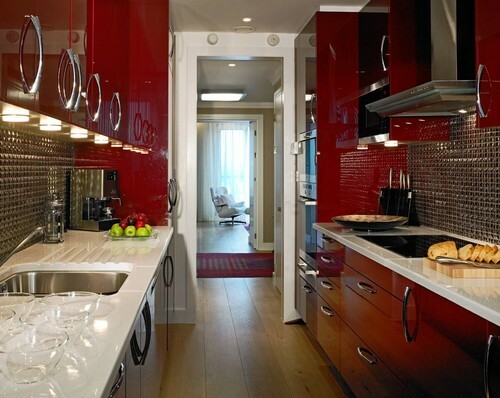 This next kitchen has red countertops. It's a quartz, possibly Ruby Reflections by CaesarStone. Isn't the chalkboard cool in the kitchen below? 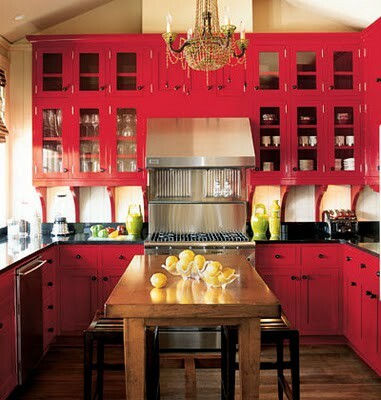 I also love red cabinets with white countertops. It's a clean, more modern look. 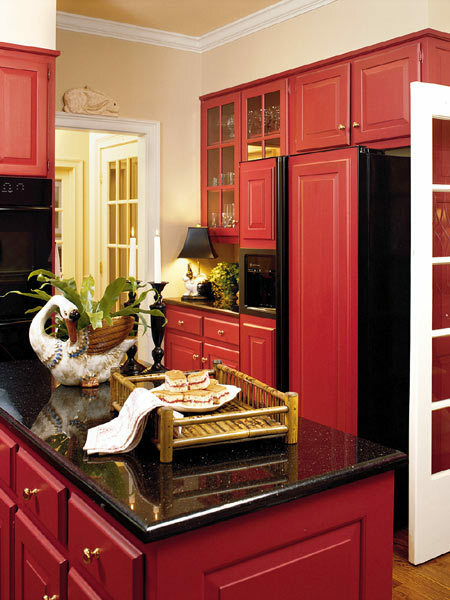 If you were to use red in your kitchen would you do red countertops, red cabinets or just keep the red to the accents?